It has been days since he died, yet Nigerians and other sympathizers all over the world are still mourning the death of Professor Pius Adesanmi, the Nigerian Canada based scholar who met his end in the ill-fated Ethiopian Airline that killed him and 156 others on Sunday, 10th of March, 2019. It has now been revealed how the mother of the deceased, purportedly got her visa to Canada stamped in her house after being denied thrice. According to Sunday Akoji, a friend of the deceased and a Nigerian pharmacist based in the United States, Mama Adesanmi was denied visa to Canada to visit her son. Even after re-applying twice, her visa was still denied till her son intervened on her behalf and had her visa stamped in her house in Ilorin, Kwara state. Read the report below as shared by Sunday Akoji on Facebook. “Once upon a time, Pius Adesanmi invited Mama Adesanmi to come visit him in Canada. That was not to be because she was denied a visa to go visit her son. “Pius and Mama were sad, however that didn’t deterred Mama from reapplying for the visa after a six months waiting period. Again she was denied! 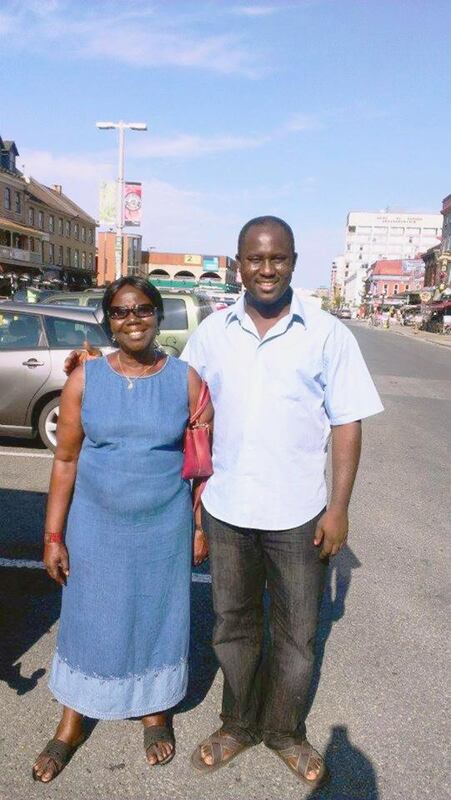 “Mama reapplied a third time for a visa to Canada and was denied. She then told Pius that she will visit him in Canada on one condition : “If the Canadian high commission comes to her house at Ilorin and stamp her passport with the visa.” Mama was simply saying she is done with the effort of obtaining a visa to Canada after three denials. “And it came to pass, that the Department of Foreign Affairs invited Pius as a guest speaker for an event. Trust Pius not to waste an opportunity to vent when one presents itself. He reluctantly accepted the speaking engagement. After his lecture the Oga at the top in charge of all High Commissioners went to Pius to give him kudos for a job well done. During the tete-a-tete, Pius told the Oga that he is unable to understand why his mother was denied visa to come and visit him. “Three days after the event in Toronto, a dark, heavily tinted SUV with a diplomatic plate number pulled up in front of Mama Adesanmi’s house at Ilorin. The Canadian High Commissioner sent his aides who drove all the way from Lagos to Ilorin to go and stamp Mama Adesanmi’s passport with a visa to Canada in her living room, with a letter of apology personally signed by the High Commissioner. “That was how Mama’s prophesy came to pass and the people who denied her visa three times, brought the visa to her house, even when she didn’t apply for a visa. “As Chinua Achebe puts it, “If a child washes his hands he could eat with kings.” Pius was cool like that! “How do we console Mama Adesanmi? How?!!!! How do we console Mama and make her come to the realization that her only son who dines with the Ogas at the top who made it possible for her visa to be stamped in her living room, was among the 157 souls that perished on Sunday last week when the ill fated Ethiopian Airlines Flight #302 plunged to the earth 6 minutes after takeoff?